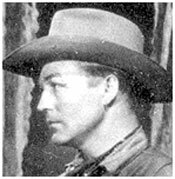 Veteran stuntman, actor and horse trainer, Sandy Sanders was born in Hereford, TX, May 23, 1919, but grew up all over the country. As a young man, Sandy served in the Army during World War II. 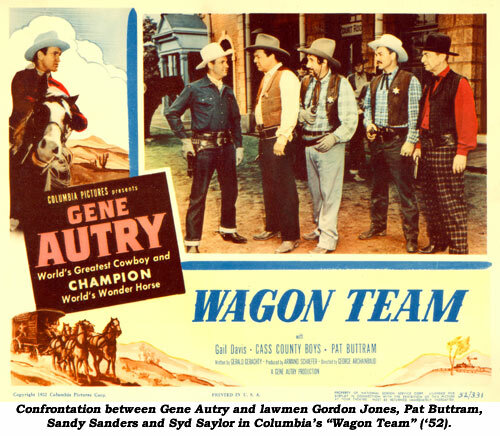 After wartime duties, he put together a horse act and while working in Kansas, a film crew came through with one of the producers suggesting Sandy try his luck in Hollywood. Doing just that, it wasn’t long before he was hired as Gene Autry’s double at Columbia. 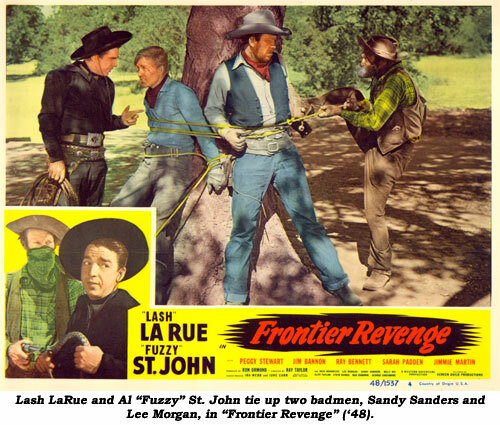 On one of the Autry films, Sanders met Clayton Moore and a life-long friendship was born with Sandy doing many of Clayton’s stunts on “Lone Ranger” TVers. Sandy was soon much in demand, working in many non-western films besides appearing and stunting on “Roy Rogers”, “Cisco Kid”, “Kit Carson”, “Range Rider”, “Buffalo Bill Jr.”, “Wild Bill Hickok”, “Restless Gun”, “Hopalong Cassidy”, “Whispering Smith” and “The Westerner”. 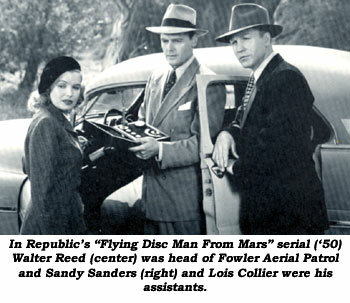 Stuntmen of Sandy’s era did not receive billing for their expertise, but were credited as actors, so hundreds of his stunt credits are known only to him and his co-workers. The ‘40s and ‘50s in Hollywood were good to expert stuntmen and horseback riders like Sandy and he found himself working in features with Lash LaRue, Jim Bannon, Gene Autry, Charles Starrett, Keith Larsen and George Montgomery. With Saturday afternoon serials still being produced by the studios, Sandy found work in “Son of Geronimo” with Clayton Moore, “Desperadoes of the West” with Richard Powers (Tom Keene), “Don Daredevil Rides Again” with Ken Curtis and “Flying Disc Man From Mars” with Walter Reed. Besides Sandy’s work in front of the camera, he was a rope and horse trainer, riding stable owner and riding teacher during and between film gigs. Watching the prolific western output by Hollywood, you’ll easily spot Sandy in hundreds of projects. A good looking man, an athletic man, and a good actor, Sandy Sanders was a major part of our enjoyment as front-seat cowboys. Although Sandy died at 82 on January 2, 2002, in Santa Barbara, CA, he is not forgotten and is greatly admired for his superlative stunt career.